Physics, once known as "natural philosophy," is the most basic science, explaining the world we live in, from the largest scale down to the very, very, very smallest, and our understanding of it has changed over many centuries. 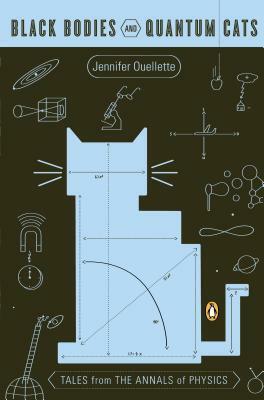 In Black Bodies and Quantum Cats, science writer Jennifer Ouellette traces key developments in the field, setting descriptions of the fundamentals of physics in their historical context as well as against a broad cultural backdrop. Newton’s laws are illustrated via the film Addams Family Values, while Back to the Future demonstrates the finer points of special relativity. Poe’s "The Purloined Letter" serves to illuminate the mysterious nature of neutrinos, and Jeanette Winterson’s novel Gut Symmetries provides an elegant metaphorical framework for string theory. An enchanting and edifying read, Black Bodies and Quantum Cats shows that physics is not an arcane field of study but a profoundly human endeavor—and a fundamental part of our everyday world. Jennifer Ouellette is the author of three previous books, Black Bodies and Quantum Cats, Physics of the Buffyverse, and The Calculus Diaries. She writes the popular science and culture blog Cocktail Party Physics for Scientific American. She lives in Los Angeles, California.